Many of the financial services and products are based on credit reports. If you go and apply for a mortgage, the institution will look at your credit report. If you apply for a credit card, the company will check your credit score. Even cell phone companies are looking at credit reports before giving out phone plans! Credit scores are like gospel and the system runs on those reports compiled by well-known credit bureaus like Equifax, TransUnion, and Experian. 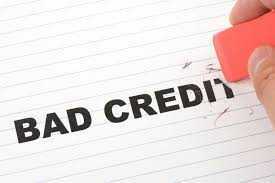 Now imagine what would happen if your credit score is not up to the mark or if you have bad credit. You will find it very difficult to access even the most common financial services like the ones listed above. You will then stress out or spend valuable time trying to find other solutions. While there is a ton of information on the web about bad credit, we will focus this article on one specific financial product – the credit card. Credit cards are ubiquitous and very widely used. They are used by people for various reasons. Some may use it to pay for expenses, some use it for the convenience of not having to carry cash, while some may use it to build a credit history and improve credit scores. Sometimes, when all cash runs out and you need to make emergency payments, then a credit card's credit line might bail you out until you receive your next paycheck. how a Good credit score makes it easy to get credit cards? No matter what the reason, credit cards are something that good credit folks, as well as bad credit folks, want. For good credit customers, getting a credit card is very easy. In fact, credit card companies often invite consumers with strong credit scores to apply for credit cards. These cards will have all sorts of features, options, and rewards. If an invitation does not come through, it is still very easy to simply log on to the website of the card company and make an online application. Approval decisions can sometimes come within minutes. But what about someone with a bad credit score in their credit cards? For consumers with bad credit, getting a credit card is quite challenging. Most of the regular credit cards that you see being advertised are often only for consumers with a certain minimum level of credit score. So, applying for them online will not lead to success. Instead, people with bad credit scores should understand the credit card types that they can realistically apply for and focus on such cards only. Running around applying for all sorts of cards will not only eat up time, but it will also dent your already low credit score because companies tend to perform hard credit checks for many of the conventional credit cards. Such hard checks lower credit scores marginally. What you need is a credit card that is meant for someone with bad credit, that does not do any hard credit checking, and that can give you an approval or rejection in a reasonably short period of time. Bad credit consumers need to look at unsecured and secured credit cards. Unsecured credit cards are credit cards that a person with low credit scores should look at. They require no security deposit and usually come with a pre-defined credit limit. $200 or $300 credit limits are normal with these cards. All you need to do is pay the annual fee and sometimes an application fee. Since these credit cards do not hold any collateral (in the form of a security deposit), they are considered high risk by the lenders, especially as they are being handed out to people with credit scores as low as the 300s. Accordingly, the APRs on unsecured cards tend to be quite high, often north of 20 or even 25%. That is the price you pay for having bad credit. There is a bunch of other fees as well, depending on a case-to-case basis and the type of transaction that is conducted. But basically, unsecured cards can get you out of immediate trouble if you have a financial emergency and absolutely need to borrow (via credit line of the card) to pay an expense. These cards are decent for short-term use. Secured credit cards, as the name might suggest, come with a sense of security for the lender (card issuer). Such cards require you to pay a security deposit, which is refundable completely. However, it does get deducted if you do not pay your credit card bills. It is essentially a collateral that protects the card issuer from a default of your credit card bill payment. Given its slightly lower risk as compared to unsecured cards, these types of credit cards have slightly lower fees than unsecured cards. Sometimes, there are no fees at all. Even APRs tend to be lower or at least as high as the ones offered under unsecured cards. The security deposit amount is also your credit line. Normally, secured cards require $200 deposit to get you started with a $200.00 credit limit. However, this limit can be subsequently increased through either timely payments for a few months or a higher security deposit that can be pledged with the card issuing authority. As with unsecured cards, there are various other fees and charges depending on the transaction that you perform and on a case-to-case basis. Secured credit cards are a good step up from unsecured credit cards, but you need to have enough money to make the minimum security deposit. These cards can be used to build a credit history of timely payments and compliant behavior to bump up your credit scores. Once your credit score is high enough for a regular card, you can move on to that option. Secured cards are also a short-term option, similar to unsecured cards. Now let us look at some credit cards available to anyone with even bad credit scores and that do not require any security deposit. 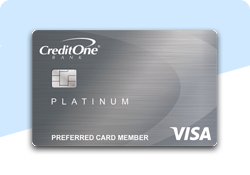 Credit One Bank Platinum Visa does not involve paying any security deposit. It is known to be the lowest cost unsecured credit card for bad credit. What you do pay is an annual fee, which depending on your credit profile can range between 0 to $99. With the annual fee and no deposit, what you get is $300 of credit line, which is reasonably good and in line with what most secured and unsecured cards offer. If you are looking to plug a financial gap or pay for emergency expenses, then the Credit One Platinum card can be of good use.APR rates are high since this card is unsecured. You can expect to pay anything between 20 and 25% depending on the quality of your credit profile. Even though this card is for bad credit users, credit quality still plays a role in ascertaining vital metrics. You will be glad to know that there is a cashback program with the Credit One Platinum card. You get 1% cash back on select purchases. Quite a few people use unsecured cards to build their credit if it is very low or non-existent. With the Credit One Platinum Visa card, you can track that progress of credit rebuilding by enjoying free access to Experian's online credit score platform and check your credit score information. While we do not recommend using unsecured credit cards for long-term, the Credit One Platinum Visa card is a good short-term option for making ends meet until you find some stability in your finances. Use it to rebuild credit and then move on to regular credit cards if you can. The Credit One Platinum card is a stop in the journey rather than the destination itself. How would you like an unsecured card with no fee and no deposit? That is exactly what the Capital One Platinum credit card offers you. If you have fair credit, then you get a $300 credit limit with no hassles. People with bad credit might not be eligible for this card, but it does not hurt to apply.APR is somewhat standard on this credit card at 24.99%. This rate might seem a little too high, but considering that you do not pay annual fees or deposits, that is the tradeoff. You end up with an interest rate which is at the higher end of the normal range that unsecured cards offer. The $300 credit limit has room to increase if you are regular with your bill payments. Make timely credit card payments for at least 5 months and you might just have the opportunity to have your limit increased. 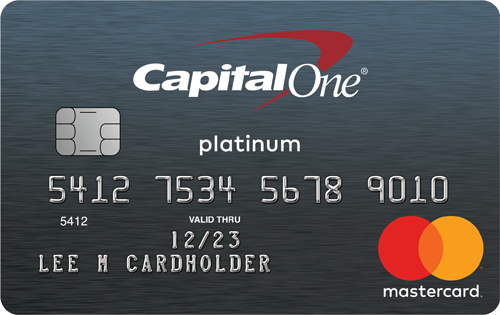 The Capital One Platinum card offers some additional perks in the way of auto rental and accident insurance, roadside assistance, extended warranty coverage, and zero dollar fraud liability. There is no cashback program unfortunately with the Capital One Platinum card. You also get access to Capital One's CreditWise platform, through which you can monitor your credit score (compiled by TransUnion) and move along on the road to a higher credit score. If you are a student then chances are that you have not built your credit score yet. Hence, getting a credit card could turn out to be quite a challenge with your profile. 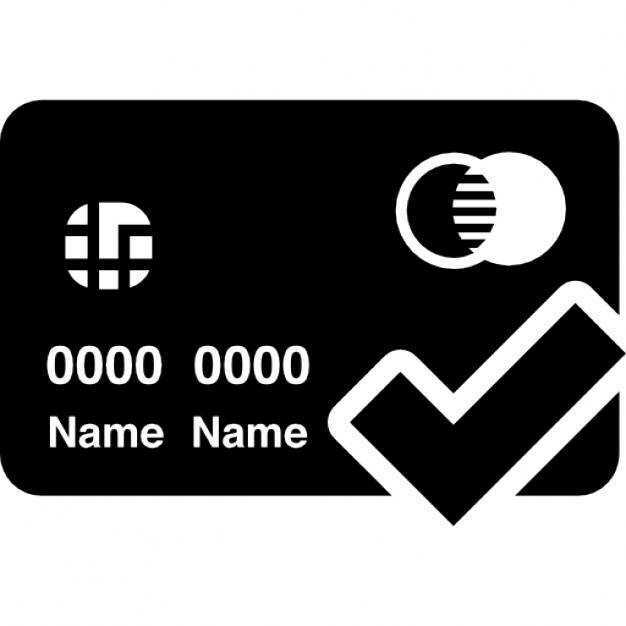 However, you can now look at a credit card that has been designed especially for you. It is called the Discover It Student Cashback card and it offers you the benefits of having a credit card while incentivizing good financial habits at the same time. Again, no deposit or annual fees are involved with this card. One of the most interesting features is a $20 credit which Discover will send you if you earn a certain minimum level of grades. You can also access the Discover It platform to watch your credit scores develop and also familiarize yourself with ways in which you can improve that score. In terms of safety and security, Discover offers a feature called FreezeIt. This feature basically freezes the card and the credit card account so that no undue advantage is taken in case of theft or a lost credit card. Discover It Student Cashback card also offers zero liability in case of unauthorized purchases.APR can be quite low at 15% or you might end up paying the more normal 24%. The APRs are a range and the exact rate will depend on how Discover evaluates your profile. And lastly, some good news on the cashback front. Select purchases will enjoy a 1% cashback, and in some cases, even 5%. 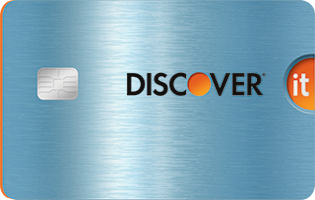 For the first year only, Discover will be happy to match all the added cashback from the first year of usage. In conclusion, use the card right and use it in the right places, and you can enjoy some stellar benefits. 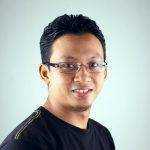 how to Become an authorized user? Another quick way to having a credit card without paying a deposit is by becoming an authorized user on someone else's account. A person who is not able to get a credit card on the basis of their own credit quality can join someone who does have a long history of card use and high credit scores. They can become an authorized user on the account of that person, even though the privileges will not be as many as what they primary account holder enjoys. That would normally not be a problem because the whole idea here is to piggyback on another person's good credit standing and pull up your own credit in the process by following good card use practices. You need to make sure that the credit card issuing company reports all account information to credit bureaus. Who you select to join with is critical in this case because your financial behavior affects the primary credit card holder's credit quality. If you rack up bills by using the credit card excessively and cannot pay for those purchases, then the primary holder becomes responsible for ultimately clearing the bills. Normally, family or very close friends tend to join and become authorized additional users. This way of getting a credit card clearly has benefits, but the drawbacks can be pretty significant as well.